Nationally ranked bodybuilder, Dominick Mutascio, 29 years-old, grew up in Hampton Bays, a small town on the east end of Long Island. Dominick has been active from a very young age and was a three sport all-star athlete throughout high school in hockey, football, and wrestling. He ended his high school career with all-state honors, after winning the Suffolk County Championships and was ranked as one of the top wrestlers in the country in the 135lb weight class. After wrestling at Hofstra University, a division-1 school his first year of college, Dominick struggled to meet weight requirements for the wrestling team and soon transferred his sophomore year to the University of Cortland to pursue his passion in Dietetics and Nutrition. Having graduated with a degree in dietetics in 2009, Dominick worked full-time as a personal trainer and started preparing for his first bodybuilding show. He won the overall at the 2009 OCB Olympus in Buffalo NY. Soon after, Dominick transitioned to the NPC and continued his streak of success in the industry, both on and off the stage. After graduation, Dominick began working at a bariatric center part time, and worked as a head exercise specialist at the Parisi Speed School in Long Island, NY. His first NPC bodybuilding show was the 2010 NPC Excalibur in Culver City CA were he placed second in a stacked open welter weight class. Dominick has always been known for his dense, grainy muscle bellies, as well as his next level conditioning. Dominick has won a number of shows, including the middle weight in the 2012 NPC Metropolitans, the 2015 East Coast Classic, and placed second at both the Junior Nationals and USA Championships, missing his pro-card by a mere one point. Currently, Dominick is one of the head sponsored athletes for Species Nutrition, Dream Body Cuisine, and Muscle Eggs and will continue to pursue his Pro status at the next national show in 2017. Throughout his professional career, Dominick made a name for himself in the New York City corporate fitness world, managing several corporate health clubs for over four years. His titles include Director of Fitness for New York Sports Clubs and New York health and Racquet Clubs where he oversaw their fitness departments. Currently, Dominick has left the corporate fitness world and now works part time as a dietician at an internal medical practice in Midtown Manhattan. He also leases out a gym space in the trendy Flatiron District in New York City. 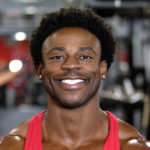 There he runs his private personal training, nutritional coaching, and contest prep company, called Best Built Fitness. Dominick has big aspirations for 2017, planning to grow his business, as well as his physique and is looking to secure his Pro Card at the 2017 NPC Nationals.